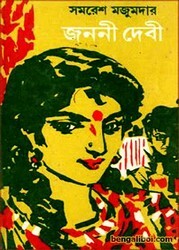 Somoresh Majumder, one of the foremost fictional novels writer of the modern Bangla literature who is well-known for his great writing- 'Kalbela', 'Kalpurush' and 'Uttaradhikar. This legend fiction writer born on 10 March 1942 at Uttar Banga in West Bengal. He had been spending his childhood at Dwoars of Jalpaiguri district. Graduation in Bangla from the Scottish Church College. He got the Sahitya Akademi Award in 1984 for the famous second novel of the Animesh series 'Kalbela', Now, want to share an another popular novel of his writing- 'Janani Debi by Somoresh Majumder' as pdf file. The pdf has 189 quality pages, 10mb file size.